Since relaxer sales have been on a steady decline, it appears that hair extension sales are on a rapid incline. Protective styling has always been popular for women with textured hair, and as more women are exploring protective styling options with extensions, questions are being posed about quality and harvesting. In Just Extension the Documentary, which releases Wed., Oct. 21, Just Extension Founder Riqua Hailes chronicles her travels through China, Cambodia, Malaysia, India, Peru, and Brazil to uncover the truth about hair extensions, a $684 million dollar unregulated industry. This global film provides insight on how hair is sourced, processed, and marketed to distributers and consumers around the world. Whether you are strolling down the street, perusing the beauty supply store, or scrolling through social media, you cannot go a day without seeing extensions. But do a simple Google search and you will be quickly overwhelmed with the thousands of vendors selling hair extensions, but little to no information describing where the hair is coming from or what to look for. To answer our pressing questions on this topic, we reached out to Hailes to help guide the wig, weave, and extension novice. The hair extensions industry isn't regulated so their terms can mean different things to different vendors. From my research with interviewing vendors in various countries, virgin hair is 100% human hair from a human's head that has not been processed. Remy hair means that the hair cuticles are all going in the same direction. What is the difference between machine weft and hand-tied weft? Machine weft hair is hair that has been sewn together with multiple strands of thread to make a weft. This hair can be used for sewn-in extension applications or used as clip-ins. Hand tied weft hair is threaded together using a single threading method that is made by hand; this weft is much thinner than machine weft hair. How is the hair harvested and washed? How can a consumer confirm that the extensions are ethically harvested? The frustration with retailers like myself is that the hair extensions industry isn't regulated and this allows vendors in foreign countries to label and market hair extensions as they like. The only way to truly know how your hair extensions are harvested is to see firsthand and have a relationship with vendors. That is why my trip was necessary. I needed to see firsthand and build business relationships with my vendors. The other option is the consistency of the hair quality; this may not tell you “ethically” how the hair is harvested but it will allow you to know the quality of your hair. What are the different "grades" and what does each mean? We've seen grades like A up to AAAAA without clear explanations of the distinctions. From my research the grades don't mean anything, they're just another marketing tool. This question is addressed in the documentary. What is the difference between virgin hair colors versus colored virgin hair? Virgin colored hair is natural colored hair that is cut from human beings. Based on my research within the industry, virgin hair that is colored is no longer considered virgin hair, but remy hair, if the source of the hair was 100% virgin hair. However, if the sourced hair is fallen or scraps hair it is considered non-remy hair. What is the difference between chemically processed, steam textured and untouched hair? Fallen hair is chemically processed with acid and dipped in silicone most of the hair on the market is processed this way. Most curl patterns are streamed to those textures. Indian and Chinese are the most common untouched hair textures. What happens to the steam-textured hair when it is washed? Does it become straight? It varies. Some lose their curl pattern while others don't. What are the characteristics of Indian, Southeast Asian hair, and Brazilian hair. Overall Indian hair has a very silky base and a natural loose wave pattern. Whereas Southeast Asian hair is typically thicker than Indian hair but also has a silky base. Brazilian hair textures are really across the board. 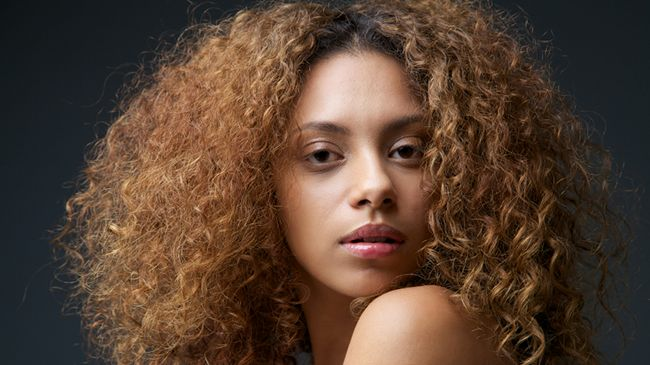 With the various cultures you have everything from straight European hair to thick curly hair. The textures of Brazilian hair that are most popularly marketed in the states are curly textures with a coarse base. What's the difference between wefts, keratin tip, Brazilian knot extensions, closures and frontals and u-parts? The differences are in the applications. What type of hair can be heat styled? 100% human hair, some synthetic blend hair can take low heat or steam rollers to achieve curls. What is the difference between the hair offered at beauty supply stores, wholesale vendors, and online retailers? Typically beauty supply hair store are package brands that use non-remy hair. There are very few retailers that sell remy or 100% human hair. That's a tricky questions because you can get authentic virgin or remy hair online and you can also get fallen cheap hair disguised as 100% human hair. I suggest doing research on hair brands to find the best hair for your needs. What are others questions that a hair extension novice should ask when looking for hair? I recommend doing tons of research. Decide what look you are going for. Find out the texture and application. After you finalize those needs that are when the real research begins. Read articles, yelp reviews, and watch YouTube videos to help you decide the best hair for you and your price range.